The new Series-5 range from Barr and Stroud offers even better construction and features. The magnesium body offers excellent robustness whilst retaining an overall light weight for comfortable handling. 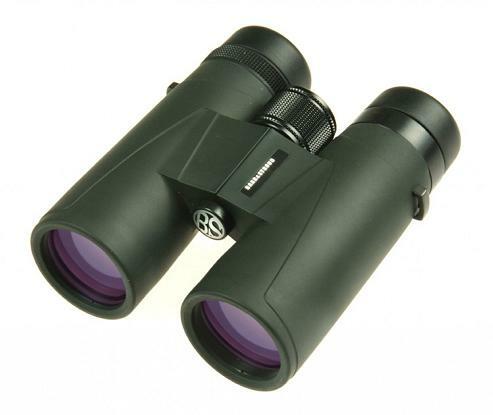 The refinement and quality are apparent the moment you adjust the rubber clad metal twist-up eyecups, for your first glimpse through the superior phase coated optics, and the wide field of view ensures you capture even more of the action. The eyepieces provide generously long eye relief making them highly suitable for spectacle wearers. They are waterproof to a depth of 1.5m of water for three minutes, plenty of time to retrieve them if you have dropped them into a stream or puddle. The water-repellant lens coating ensures any water coming into contact with the objective lens surface will simply run off. All Series-5 models come supplied with tethered lens caps, rainguard, strap and protective carrying case.